I’ve never had to worry too much about kale. Unlike strawberries and spinach, which often contain the most pesticide residue, it’s never done me dirty, allowing me to make my green smoothies in peace. But the news I read this morning almost made me spit it out. The Environmental Working Group (EWG) just released its rankings for the 2019 Dirty Dozen, a guide to pesticides and produce. Kale finds itself on the list for the first time since 2009, ranking third, right behind strawberries and spinach. Every year, the United States Department of Agriculture (USDA) tests 47 popular fruits and veggies, mimicking how a typical person might prepare produce at home. After reviewing 40,900 produce samples, the list is born. For kale, more than 92 percent of samples were found to contain at least two or more residues. Some of the samples collected contained residue from up to 18 different pesticides. Rounding out the Dirty Dozen are nectarines, apples, grapes, peaches, cherries, pears, tomatoes, celery, and potatoes. Kale bumped sweet bell peppers off the list as the only change from last year. 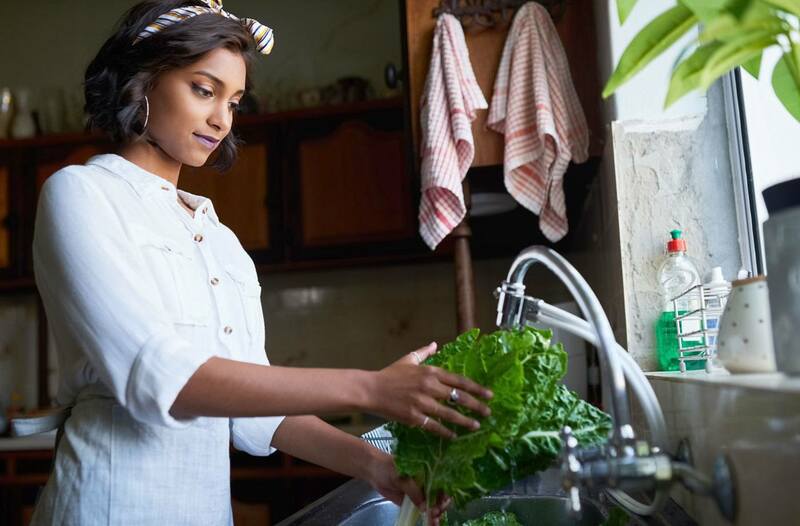 Before you strike kale from your diet, EWG Research Analyst Carla Burns says the “health benefits of a diet rich in fruits and vegetables outweigh the risks of pesticide exposure.” That said, if you can purchase organic produce, do it. Thankfully, you’re safe to fill your grocery cart with all the avocados, which were found to be the cleanest with less than 1 percent of samples containing pesticides. Time to clean up your act, kale! The next time you bring produce home, here’s how to go about properly washing it. And you can bring in the big guns by adding a dash of baking soda.